Our home is a light and airy 3 bedroom condo on the top floor of a very quiet 4-storey block with views from all rooms of the port. The condo has a lovely shared pool and gym -which are rarely used- and is really well-located. We are at the top of a little hill and get nice breezes. There is a master double bedroom with ensuite bathroom with bath and shower. The second bedroom also has a double bed and a single bed and is very spacious. The third bedroom has a single bed and is used more as an office now our eldest son is at University in the UK. 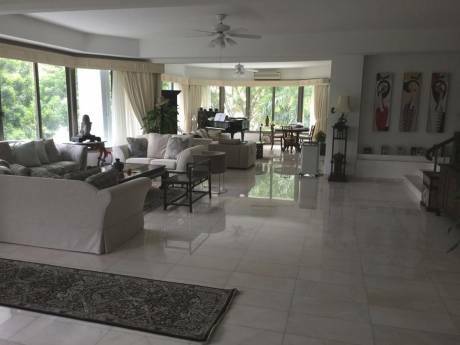 There is a nice open plan living and dining room with TV, piano, PC and plenty of comfortable seating. The kitchen has all the amenities you would expect. There is air conditioning in the living room and all bedrooms. We are 2 British teachers. Steve is Head of Technology for Learning at a top international school in Singapore, Linde works in Learning Support in the same school and we have 2 boys of 18 and 22 who have travelled the world with us. The eldest has finished University but the younger one may still accompany us. We have been doing house exchanges for 20 years and pride ourselves on being completely trustworthy in all our dealings and utterly respectful of your home and belongings. Our parents live in UK so we do return there each summer, but also like to bring our boys to France, Spain, Italy etc so they can appreciate the language and culture. We live in a a quiet residential area called Pasir Panjang ('Long Beach' in Malay). We are right on the south coast and ideally located for getting around Singapore as a couple of minutes walk brings you to the bus stop which serves 7 different routes, including taking you directly to the nearby Vivocity mall which is also the gateway to Sentosa Island and theme park resorts. 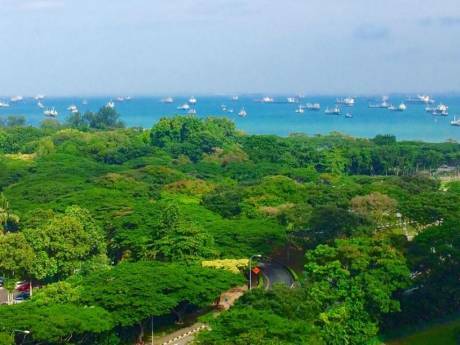 We are a 10 minute walk (or 2 minute bus ride) from an MRT station (Haw Par Villa) which gives you amazing access to the whole of the Singapore network. There are British, American, Indian, Thai, Chinese, Italian and Indian restaurants within 5 minutes walk as well as dry cleaners, hairdressers and a supermarket. We are a 30 minute taxi from the airport and 15 minutes from the bustling downtown Singapore city centre. Singapore is a truly amazing place to live in and visit, constantly changing and offering new experiences against the safe peaceful, prosperous and clean background of a proudly multicultural society. Some must-dos for visitors are the Zoo and Night Safari, Little India,and Chinatown. and the Singapore Flyer (http://www.singaporeflyer.com/), to name but a few. 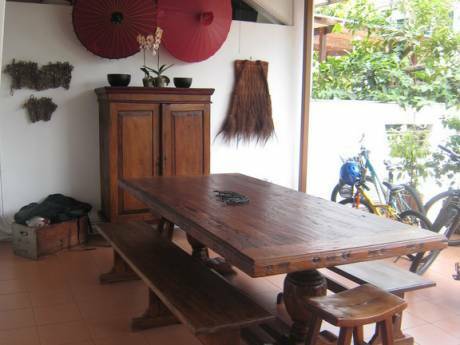 Many families who have stayed here have also taken the opportunity to travel to nearby destinations like Bali, Kuala Lumpur, Vietnam and Cambodia.